As the surrounding theater begins to darken, moviegoers are greeted by the beloved warmth of the most famous part of the entire Harry Potter score: “Hedwig’s Theme.” The lighthearted notes give way into the theme for the movie itself, that brief moment of levity rare to find in the movie again. 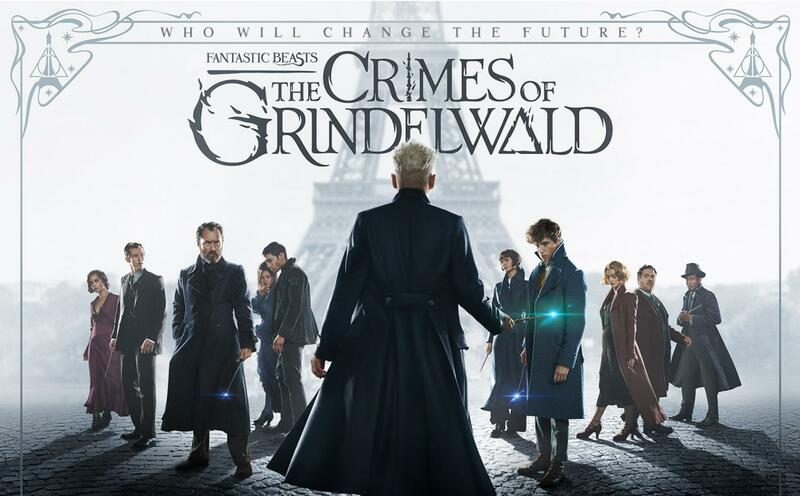 “Fantastic Beasts: The Crimes of Grindelwald” officially premiered on Nov. 16, and already it has made roughly $521 million internationally. 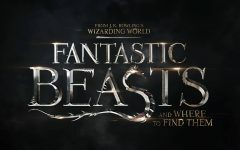 After the success of the first film, many fans were looking forward to those enchanting little creatures, the witty banter, and the brilliant character development that made the first movie so amazing. The second movie in the “Fantastic Beasts” franchise had a lot to live up to, and arguably, it did, just in a drastically different way from its predecessor. This installment was a lot darker, and throughout the film, there were times that begged to be broken up by that amusing interaction with one of the animals or just a few jokes. These were given to the audience quite sparingly. Were they present? At the beginning, yes. After twenty minutes, no. The new creatures introduced were designed beautifully, and each one was more distinct from the next. But unlike the last movie, the “beasts” did not have a starring role. This wasn’t unexpected, but it was disappointing nonetheless. That said, the mole-like creatures that were introduced in the last movie (called Nifflers, to Potterheads) had babies, so honestly, no matter how the rest of the movie went, the movie couldn’t have been called entirely bad. Had it not been for the absolute rollercoaster that served as the rest of the movie, they would have stolen the show. This time around, the movie introduced and focused on the main villain of the series, Gellert Grindelwald (whose name we’ve apparently been mispronouncing the entire time; it’s with a “V” sound) and his growing rise to power. Newt Scamander, the Goldstein sisters and Jacob Kowalski were there, of course, but there is a disappointing amount of scenes where they are all together. In fact, they are only all there once throughout the entire movie. Grindelwald, predictably, was the primary focus of the film, and one of the main reasons the movie received preemptive criticism. Grindelwald is played by Johnny Depp, who had been surrounded by various allegations of domestic abuse and violence in 2016, a2017. This was, however, after his brief cameo in the first movie. To change actors suddenly would have been an option, albeit a sloppy one. Despite the controversy, Depp certainly rose to the occasion. In the past, Depp has played dark, complex and eccentric characters, but Grindelwald brings that chaos to a whole new level. He’s dark, sure, but this time, we see that Grindelwald is pretty psychotic, and definitely more than a little unhinged. Depp was able to capture all of that in an incredible performance. In all honesty, there is no better choice to have brought the character to life. The way the movie was arranged to cut from scene to scene and to go from character to character. For a few minutes, the scene would be of Newt and Jacob. After, there’d be a brief flash of Albus Dumbledore, and in the next, it would slice to Grindelwald as he does some less-than-stellar things. For those who were paying avid attention, the movie could be followed, but the progression was as confusing as it was disjointed. With all of the new characters introduced, this made everything even worse. Once the credits were rolling, there were countless times to go, “Wait, who was that?” Unless someone’s eyes and ears were glued to the screen, only one or two new names would have been retained. The entire plot of the movie relied on one character, thought to be dead from the first movie: Credence Barebone. The plot can be summarized thusly: Credence goes to Paris in search of his long lost family, and he befriends a woman that’s part snake (that is actually Nagini, Voldemort’s snake, for some reason — this was not explained at all) who is pretty distracting to the movie. Oh, and everyone is out to get him for their own agenda. Grindelwald wants him as a follower because he’s just as dangerous as he is unpredictable, there’s several people that want him dead that are relatively unimportant in the scheme of things, while Newt and company as well as Dumbledore just want to help him. While it is understandable why they arranged this plot this way, there are so many opportunities to go, “But what if [insert scenario that would solve the plot instantly] happened?” The movie wasn’t nearly as captivating as it could have been, and that seemed to be a recurring problem. All in all, this movie is good, but not great. It exactly lives up to, but does not exceed, expectations. Is it a good way to spend two hours? Yes, for the avid Harry Potter fan. Those that haven’t seen the first movie will most likely be lost and probably very startled by all of Grindelwald’s creepiness. Regardless, this film is worth seeing by people remotely interested in the series. And even if this hasn’t been convincing, remember one thing: There’s a Niffler. With Niffler babies. Come on. Do it for them.